Katie completed a BSc in molecular biology and philosophy from the University of Wisconsin-Madison in 2000 and, after taking time off to travel, went on to the University of Minnesota where she obtained an MA and PhD in philosophy, specializing in philosophy of science, in 2006. Dr. Kathryn (Katie) Plaisance is an Assistant Professor in the Centre for Knowledge Integration at the University of Waterloo in Ontario, Canada. She is also cross appointed to Waterloo’s Department of Philosophy. After receiving her PhD, she spent two and a half years as a postdoctoral fellow at the Center for Philosophy of Ethics and Science in Hannover, Germany, before moving to Waterloo for her current position. Katie has three related areas of research. The first examines concepts, methods, and inferences in the human behavioral sciences, with a focus on human behavioral genetics. Her second area reflects on the goals and approaches of philosophers of science, seeking to find ways to make philosophy of science more scientifically and socially engaged; this line of research is a long-standing collaboration with Dr. Carla Fehr, which they refer to as “socially relevant philosophy of science”, or SRPOS. 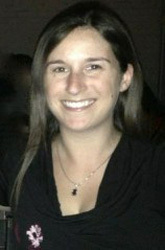 Third, and most recently, Katie has been working on the concept of interactional expertise, which captures the ability to speak the language of a discipline in the absence of an ability to practice (in other words, it captures the type of scientific expertise that many philosophers of science tend to have). Katie’s most recent work seeks to bring these research projects together by considering how philosophers can best acquire and make use of interactional expertise in order to improve the practices and products of science. Plaisance, Kathryn S. and Carla Fehr, eds. (2010), “Making Philosophy of Science More Socially Relevant”, special issue of Synthese, vol. 177(3): 301-492. Plaisance, Kathryn S., Thomas Reydon, and Mehmet Elgin (2012), “Why the (Gene) Counting Argument Fails in the Massive Modularity Debate: The Need for Understanding Gene Concepts and Genotype-Phenotype Relationships”, Philosophical Psychology, vol. 25(6): 873-892. Fehr, Carla and Kathryn S. Plaisance (2010), “Socially Relevant Philosophy of Science: An Introduction”, Synthese, vol. 177(3): 301-316.